Love the Easter crochet basket, got the inspiration from these basket for this project. This attractive basket is quick and easy to make, and is a good bazaar or gift item. Can be made in variety of colors. Willing to try the tulip stitch, I have modified the stitch and tried to get the look. 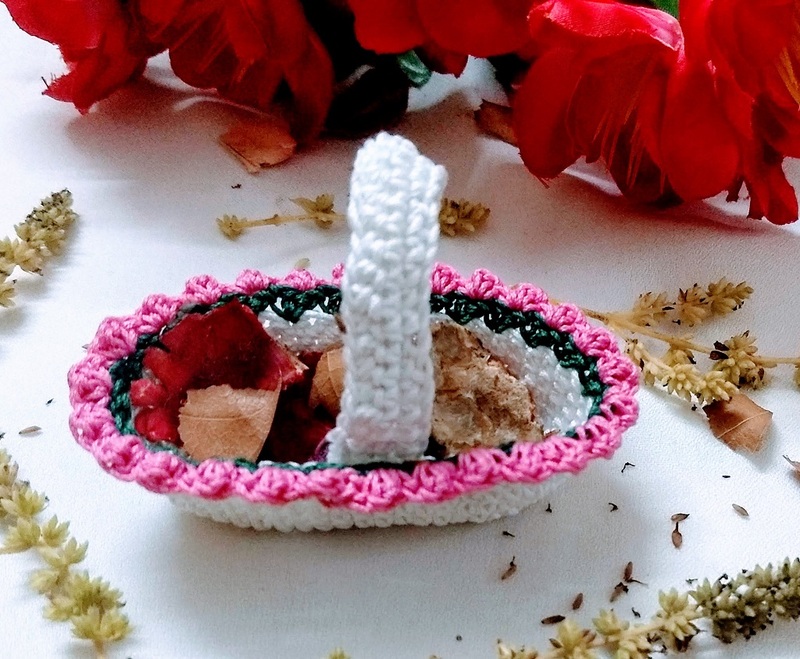 The mini crochet basket is started with a center and extends upwards, i.e. working in spirals. Level of skills required are intermediate. 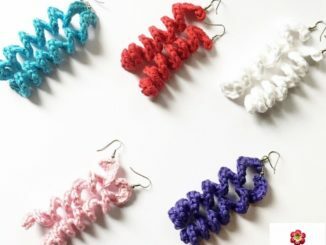 Yarn or Crochet Thread: You can use just about any size fiber to make this project. We have used Anchor Size 10, 3 Different Colors are required. 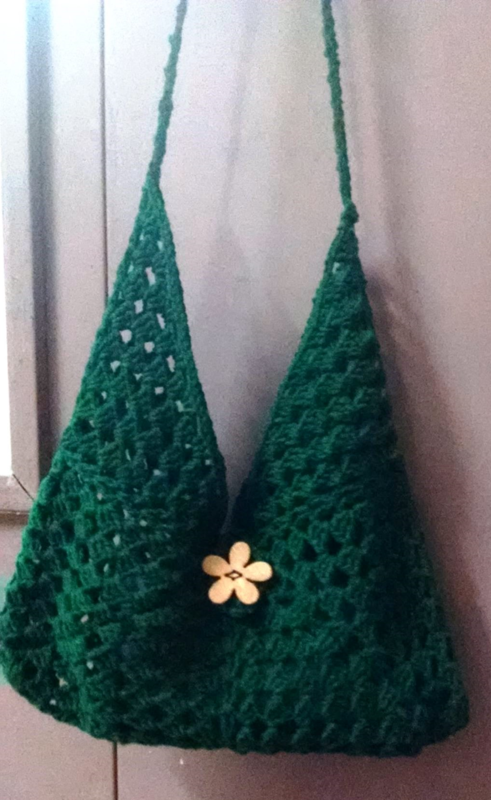 Crochet Hook Size: To crochet the flower, we used a size I.75 mm steel crochet hook. The motif measures about 6 X 4 inches in size. The sizes will vary based on supplies used and other factors. That’s because you can vary the size and appearance of each to fit the needs of your project. Chain 15, 6 dc in the 3rd st from hook. 1 dc in each of next 11 sts, 6 dc in next st. Working on another side of foundation chain: 1 dc in each of next 11 sts, sl st.
Ch 2, 2 hdc in each of next 6 sts, 1 hdc in each of next 12 sts, 2 hdc in each of next 6 sts, 1 hdc in each of next 10 sts, sl st.
Ch 1, 1 sc into each of next st around working in the back loop. ch 1, sc into each of next st around. Ch 1, *1 sc and 1 dc in next st, skip 1 st*, repeat from* to* till the end of the round, sl st.
Ch 1, 1 sc and 1 dc in next st,* skip 1 st, 1 sc and 1 dc in next st*, repeat from* to* till the end of round, sl st.
Ch 30 and start crocheting in second stitch from hook, 1 sc in each of next 28 chs. Ch1, 1 sc in each of next 28 chs. Fasten off; use the Tapestry needle to weave the ends. To stiffen the project use slight starch and dry in natural sun. 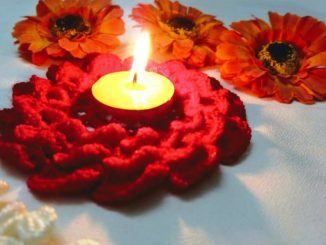 Decorate the basket with your favorite decorating items, for this project we have used crochet flowers. 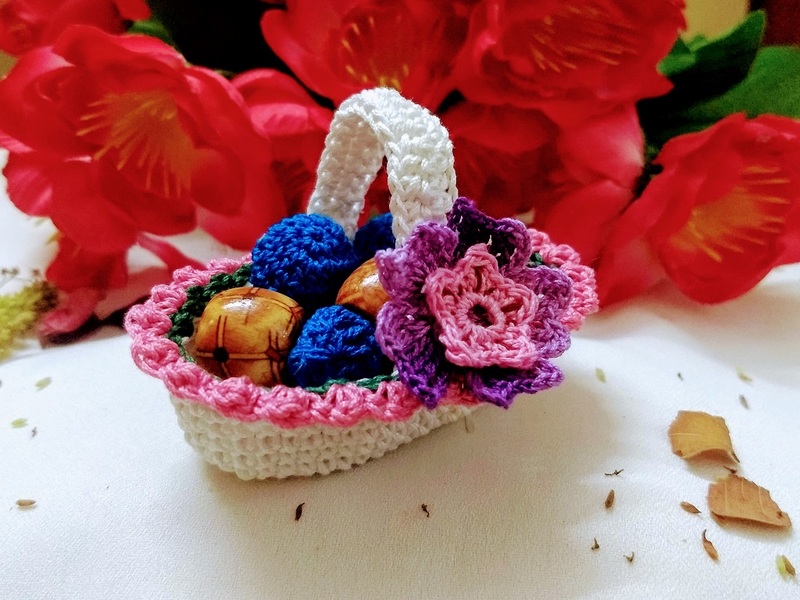 What Can You Do With Mini Crochet Basket? A prefect Christmas, Birthday Gift. This patterns to work as gift baskets for any occasions. Great to store your small stationery items on the desk. These are just a few ideas. We are sure you can dream up many others!